Innate intelligence - or true inner self - is an astounding thing. It's inside of us. We did nothing to earn it, yet it infuses us - it is the real 'me' or 'I'. No matter what challenges or limitations we face, the ever presence of our real self is a great source of hope and inspiration. Look at the world of nature. What do you see? Billions upon billions of interconnected relationships. An infinite number of dynamic exchanges. Yet, there is a terrific harmony and perfection to it all. What allows for this orchestrated 'perfection' is what can be called innate intelligence. 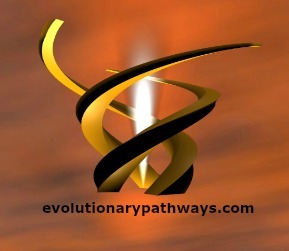 Natural, or innate intelligence is highly functional, instinctively adaptive and highly sustainable. It's what allows the world of nature to thrive and evolve. As it is with nature - so it is with us. We are endowed with the same natural intelligence - an innate wisdom and incredible gift if you will. This gift of individual intelligence is what can be called the real self, or the true inner self. It's the home base of the warrior within. True Inner Self Is N.C.R.W. Our true self is Naturally Creative, Resourceful and Whole (N.C.R.W.). This is how natural intelligence expresses itself in us. A natural creativity - is expressed in the fact that every second of every day we are shaping the world we live in and our experience of it. We don't need to be told to create. We don't need to believe we are creative. We create whether we try to or not - being creative is our nature. As naturally creative beings we must take full responsibility for that which we create. By 'owning' our creative powers, we choose to create consciously. Exercising our creative responsibility is important both at the external and internal levels. Externally we create our world. Internally we create our experience of the world. A natural resourcefulness - is our innate ability to adapt to the changes and challenges of life. Being resourceful means tapping into the innate adaptability of the inner-self. When we do, we can turn any difficulty or temporary set-back into a positive thing. Our true self uses road-blocks as stepping stones for self development, personal growth and real success. A natural wholeness - is probably one of the least understood aspects of the real self. It speaks of our innate completeness - our totality. We don't normally regard ourselves as total, complete or whole. We tend to think of ourselves as a collection of parts that need to be fixed or put together. Yet, the inner-self is complete as it is - it needs nothing. Being complete, being total, being whole means letting go of the illusion of separate parts. We are an unfathomable synergy. Everything has a place in our lives - even if we don't yet understand what it is. All things are here to help us grow. ...then why is it that my life, and the way I feel so often, fails to reflect it? What has gone wrong? How can I feel so confused, frustrated and stressed out with such an amazing intelligence so close at hand? If my true inner self is there, then where is it and why can't I find it?!" When we experience ourselves as less than creative, resourceful and whole, it's easy to feel like our true inner self has abandoned us. We may even start to wonder if there is really any true self at all. It usually never occurs to us that it is we who have abandoned it and not the other way around! The false self has taken over the show. Your true self is always with you. In this sense, there couldn't be anything easier than to live your true self. Yet, we struggle with this. We continually get carried away from ourselves on the wings of worries and fears, hopes and dreams, visions of a future yet to come and a past long gone. The wings of the mind carry us far, far away. We forget who we are - the warrior within is forgotten. This is why we need to be reminded of our real inner self, even though it is always with us and has never left. There is so much about us, so much courage, natural intelligence and potential that lies just beyond the boundaries of our worries and fears. Just beyond the boundaries of the worst nightmares the mind can conjure, lies an immense peace. The way we have come to habitually think of ourselves and our lives isn't all there is to it. Our true inner self - our warrior within - is beyond even the most positive thoughts the mind could ever muster. It is real ... beyond imagination or conscious thought. It is a reality within that is there before imagination and thinking ever take place. This is, quite possibly, the greatest thing about our true inner self. It cannot be touched or tampered with by the mind. It exists before the mind has arisen and is there after the mind subsides. It is profoundly and truly unperturbed. Moreover, it is always there for us. The slightest step out of the mind and we are there.